The Donic-Schildkröt TT bat Alltec Hobby All Weather (Blister), concave is an extremely sturdy and weatherproof plastics bats. Thanks to the ergonomically shaped handle, the bat lies comfortably in the hand. 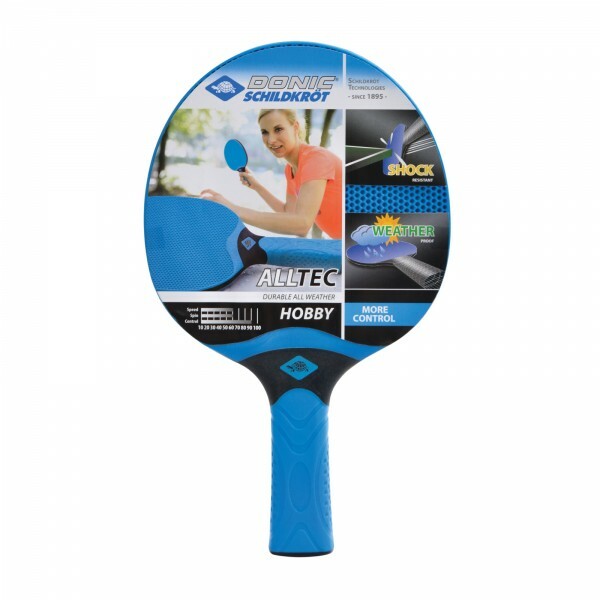 The Donic-Schildkröt TT bat Alltec Hobby All Weather (Blister), concave is shock-resistant and guarantees a very long lifespan. Because of a very good bat control, the Alltec Hobby All Weather is ideal for learning all playing techniques with a good spin.